George Martin 1989, an American-style bistro, has closed and has been succeeded by the more eclectic George White in Syosset. 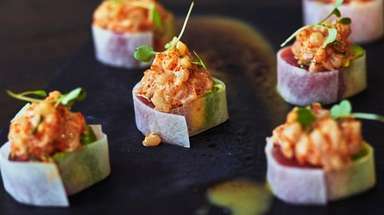 The new restaurant is owned by Blesson Varghese, a restaurateur who has operated establishments in Australia and Ireland. He termed George White the "flagship restaurant" of his restaurant group. 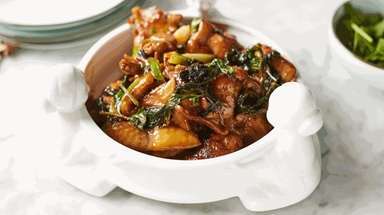 The cuisine at his latest restaurant includes both European and Asian influences and serves steaks, too. "Italian, French, modern American," Varghese said. George Martin 1989 was a member of the George Martin Group of restaurants. Locally, the group includes George Martin The Original in Rockville Centre, George Martin's Grillfire in Merrick, GM Burger Bar in Massapequa Park and Rockville Centre, and George Martin's Strip Steak in Great River. They all are open. The Tavern by George Martin in Rockville Centre is expected to be sold. George Korten, who heads the group, said, "We're keeping everything that's working." George Martin 1989 offered a diverse menu, from cauliflower ravioli and Korean barbecue duck tacos to dry-aged rib-eye steak and pineapple upside-down cake with coconut sorbet. George White is named after owner Varghese's maternal and paternal grandfathers. 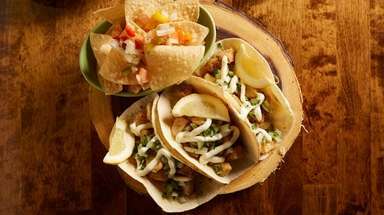 Diners may order a $25.95 fixed-price dinner from 5 p.m. to 6:30 p.m. 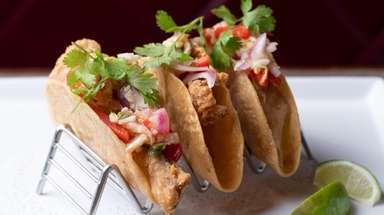 The full menu at George White includes appetizers such as wonton-wrapped sesame tuna, duck tacos with an Asian marinade, and crabcake with chardonnay beurre blanc. Main dishes include baby back ribs, pork osso buco, chicken involtini, hoisin-glazed duck, cioppino with blue crab brodo on pappardelle, gnocchi with seafood, and steaks that take in a 22-oz. "cowboy" rib-eye, filet mignon, and garlic-soy marinated skirt steak. Burgers and sandwiches also are among the choices. So's surf-and-turf. Expect desserts such as chocolate mousse, chocolate torta, and warm sticky date pudding with caramel sauce. 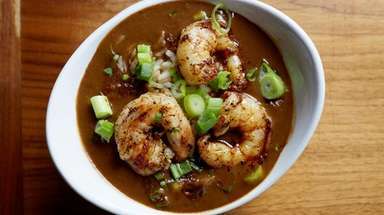 Appetizers, salads, and soups are $9 to $17; main courses, $19 to $46. 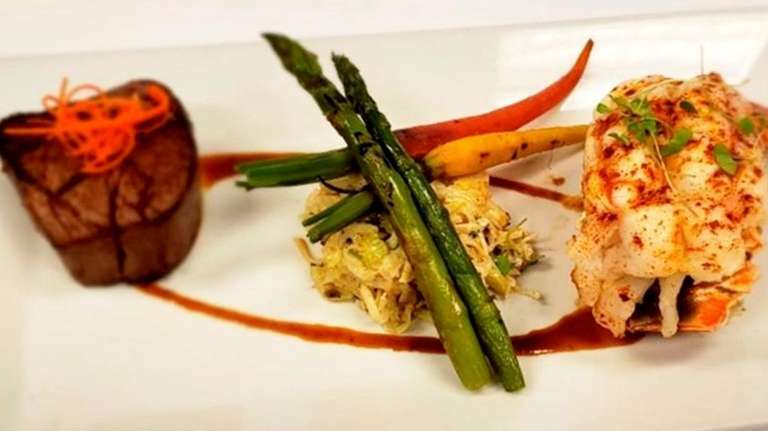 George White is open for lunch on weekdays, brunch on Saturday and Sunday, and dinner every day, from 5 p.m.
George White, 33 Berry Hill Rd., Syosset, 516-364-2144.